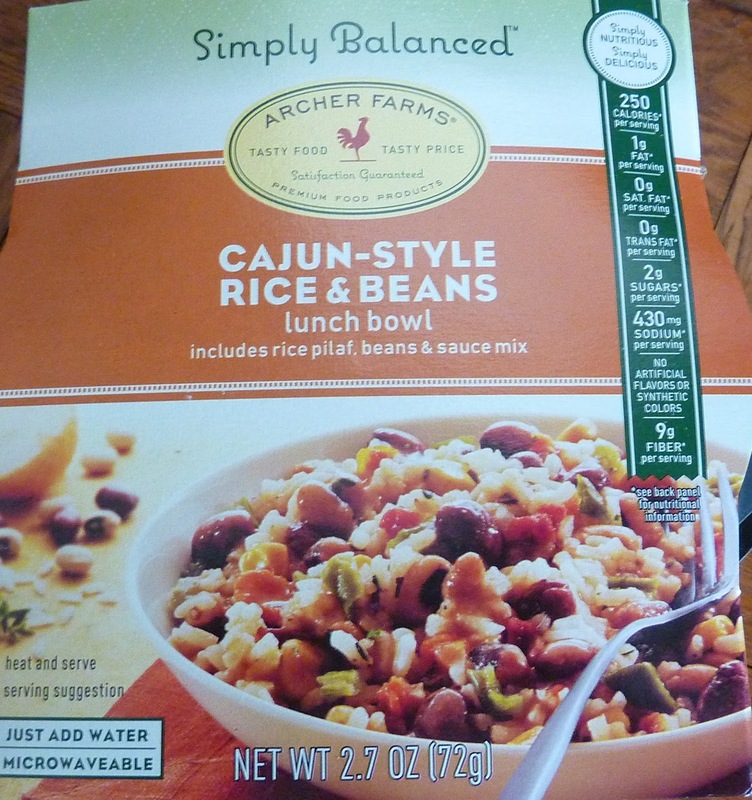 This is the first lunch bowl I've reviewed that's got the new Simply Balanced packaging going on. I guess that's because it's low-ish in calories and fat but high in fiber. I think my favorite lunch bowl is still the Sesame Teriyaki one. It had by far the best taste of all, but this one might be a close second. I was skeptical of it at first, mainly because "rice and beans" don't sound as exotic as Kung Pao Noodles or Bacon Carbonara, and both of those turned out to be disappointing. With 430mg of sodium, I'm not sure if you can call this health food, but one gram of fat ain't bad if you're looking to lose some weight. The cajun spice was fine. Nothing to complain about. It was mildly hot. Nothing earth-shattering here, but not bad for a $2.49 lunch bowl. The product was a bit soupy after adding water right up to the fill line. When I first opened the packaging, the bean and rice packet looked very small and almost empty, but everything plumped up in the hot water. The serving size still appeared diminutive, but after I ate it, I felt plenty full...and I'm a gluttonous eating machine. Must have been all that dietary fiber and salt. Overall, this product is worthy of 7 out of 10 stars.